Educated thoughts from the boys at Threefold Media. 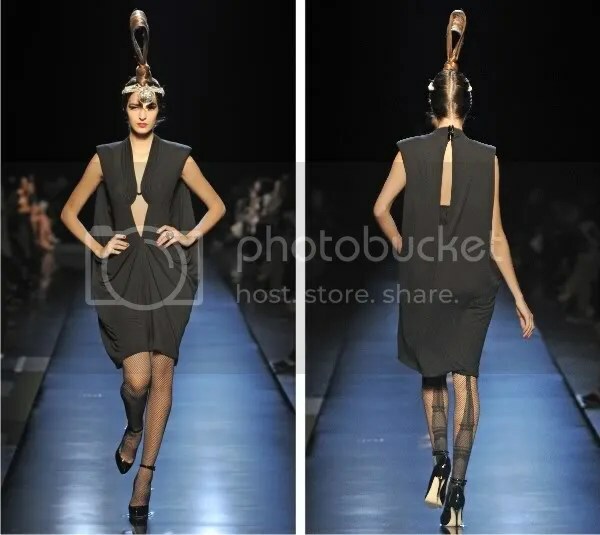 This month Sarah indulges us with her personal highlights from Paris Couture Week. Now ready-to-wear is more my bag, but if I were cohabiting with a Sheik or Oligarch (sorry boyf, no offence), Haute Couture may be more so. Paris Haute Couture Week is one of those fashion occasions that combines the most dazzling displays of design, craftsmanship and luxury with theatrics, entertainment and unadulterated glamour. Giving the world’s most skilled designers platform to unleash their inner imagination, Couture Week often sets the trends for seasons to come. This season, a few such trends emerged – notably black, black and more black, injections of acidic lime green and a running Middle Eastern aesthetic. 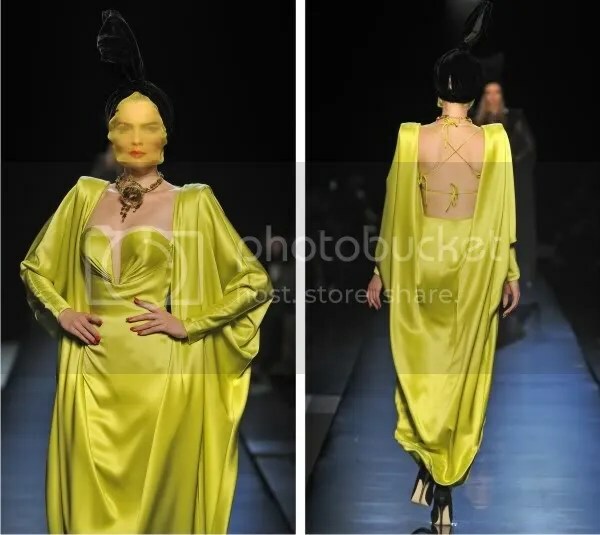 Both Dior and Gaultier favoured thinly veiled faces, adding to both the mystery and drama of the occasion, and perhaps echoing just a little bit, the conservative nature of Arabic inspiration. Leave it to Elie Saab, this time inspired by La Fenice, Venice’s legendary opera house, to come up with a perspective myriad of gowns to grace the red carpets and church isles. This particular taupe creation caught my eye, with its frilled, open-backed bodice and full layers of rich chiffon skirting… and yes Dad, you will be needing to find out if they do it in ivory, and familiarise yourself with the swing tag. Le Laboratoire is one of the design industry’s most pioneering thinkers. 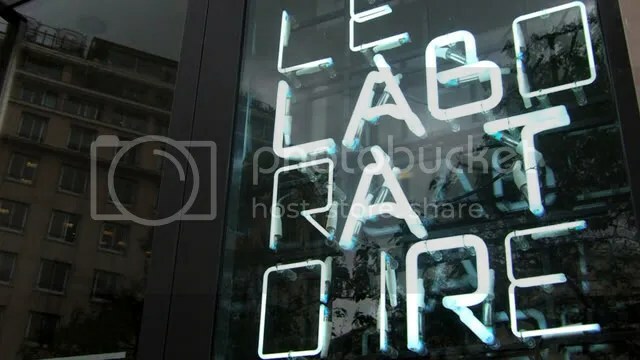 Created by David Edwards and located in Paris’ first arrondissement, Le Laboratoire brings together art and science in a collaborative sense to explore the possibilities of design to create revolutionary products or concepts. The end product is generally eschewed in favour of the creative process itself – the journey of discovery and exploration is often, according to Edwards, more important than the result it fabricates. With this in mind, Le Laboratoire is currently undergoing a research project/exhibition entitled ‘Une Architecture des Humeurs’, or ‘An Architecture of Moods’, that runs inhouse until 26th April , 2010. In the exhibit, a collaboration between the R&Sie(n) architectural practice and a group of mathematicians, programmers, architects and robotics designers has produced a model by which biological and physiological data, obtained from visitors, is used to conceive designs for housing units and urban plans. The participants enter through a signal collection station that monitors levels of mood-altering hormones within the brain. 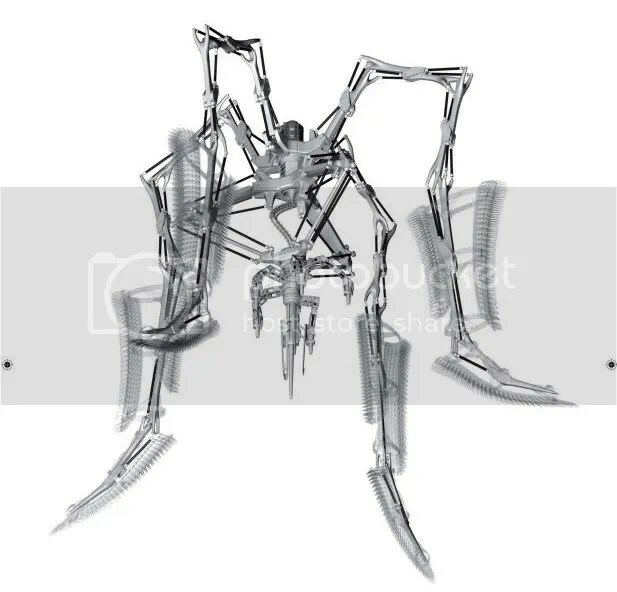 This informs the station about the individuals’ ‘animal reactions’ as well as any signs of stress, pleasure, disinterest or repulsion, which will have an effect on the ensuing design that is produced. By doing this, Le Laboratoire aim to compose designs based around pure emotional desires, rather than the ideas that can be expressed through potentially limiting methods of conventional communication. Radical concepts such as this have obvious implications within other creative worlds, such as fashion – particularly bespoke tailoring – as what we see in our mind’s eye regarding an ‘ideal’ garment may be difficult to contextualise through language or illustration. Le Laboratoire’s approach would circumvent that problem entirely by tapping straight into our mind processes and letting them do the designing. Now, it seems, anyone can be a designer. Right, I’ve just discovered this guy’s work, and already the jealousy bubbling in my abdomen has caused me to vomit violently. Twice. Look at the following images and you’ll understand why. They have an etheral, dream-like quality that is soft and eerie – as if underwater. 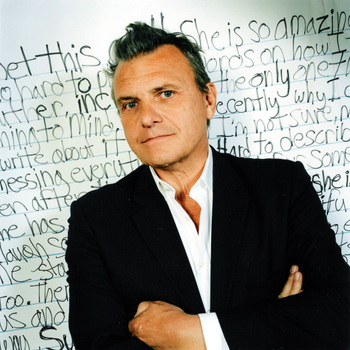 Jean-Charles de Castelbajac is, quite simply, great. 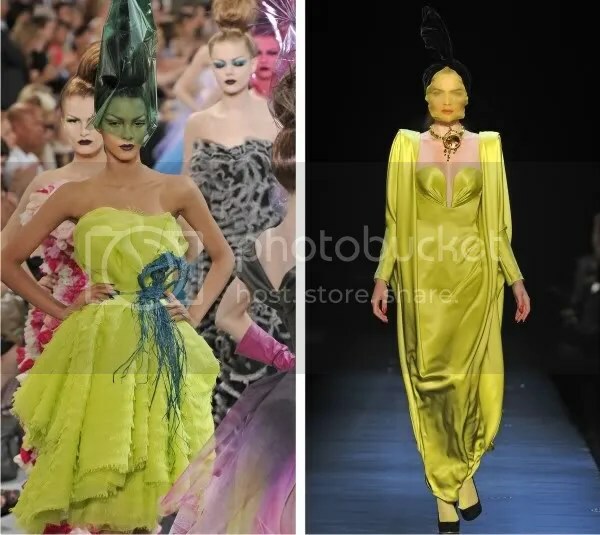 The French fashion designer is renowned for eccentric, cartoon-y couture and continually brings a sense of fun to the catwalk. Our mates Tim & Barry have done loads of work with him – he contributes a weekly video to their site, Don’t Watch That TV – and he remains one of the Grime scenes’ most avid fans. Don’t tell us that isn’t SICK!